The Excessive Heat Warning continues across our area through Saturday night. The heat index was well over 100 today. Three roofers in Delaware County, PA, had to be taken to the hospital today and treated for heatstroke. They were laying tar on the roof of Chichester Middle School when one of them collapsed. A 57-year-old West Oak Lane man was found dead in his home today, the first confirmed heat related death. There was a box fan and an air conditioner, but it was not in use. Officially the cause of death was chronic obstructive lung disorder and heat exposure. Even beating the heat can be dangerous, an unidentified 7-year-old boy was pulled unconscious from the pool at the Cobbs Creek Recreation Center in West Philadelphia. He remains in critical condition. This year marks the first time in decades that the Philadelphia Eagles will hold their preseason training camp inside the city of Philadelphia. The majority of their workouts and practices will be held at the NovaCare facility near the sports complex and only a select number of fans will have access on a daily basis. Throughout the preseason the team will hold a number of full workouts at Lincoln Financial Field. They will be held July 28, August 5, August 11, August 17 and August 26. Tickets are free and so far 200,000 tickets have been reserved. The first preseason game is August 9th. A missing 21-year-old Warminster woman has been been found 'safe and sound'. 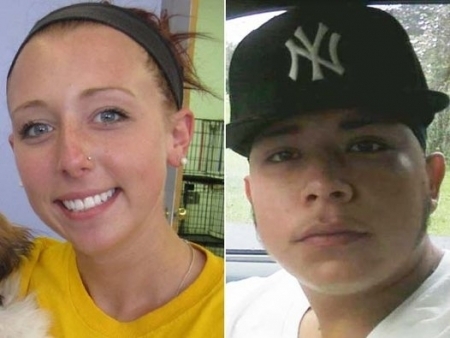 Ashley Keller went missing on July 4th with Romulo Perez-Catalan, 21. They shared an apartment together here in PA. The FBI found the two near Chicago, IL, on Wednesday. There wasn't any indication that Keller was taken against her will, however, Perez-Catalan has an extensive criminal background and was taken into custody on an outstanding warrant for buglary in Bucks County. She has been in contact with her family since being found. Party Cloudy, Chance of Isolated T-storm, Temps near 90 this evening.